California (CA) is a state that houses the country’s most populated county, the Los Angeles County and the largest in regards to area, the San Bernardino County. A research has shown that if California were a country, it would be the sixth largest economy in the world and the 35th most populated one. Many also regard it as a global trendsetter in both popular culture and politics, as it is the birthplace of the film industry, the internet, and also the hippie counterculture. 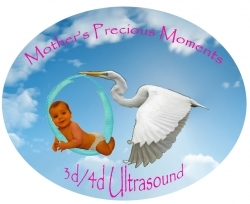 3D Ultrasound technology isn’t relatively new in the region, but the increase in its demand is. Many parents now have an urgency to discover the gender of their child through the use of this 4D technology. Doctors use a transducer probe and place it on the woman’s abdomen, this starts creating a picture on the monitor, though it may seem hazy at first; the life within is absolutely recognizable.